1. Go to any page and click REGISTER on the top menu. 2a. 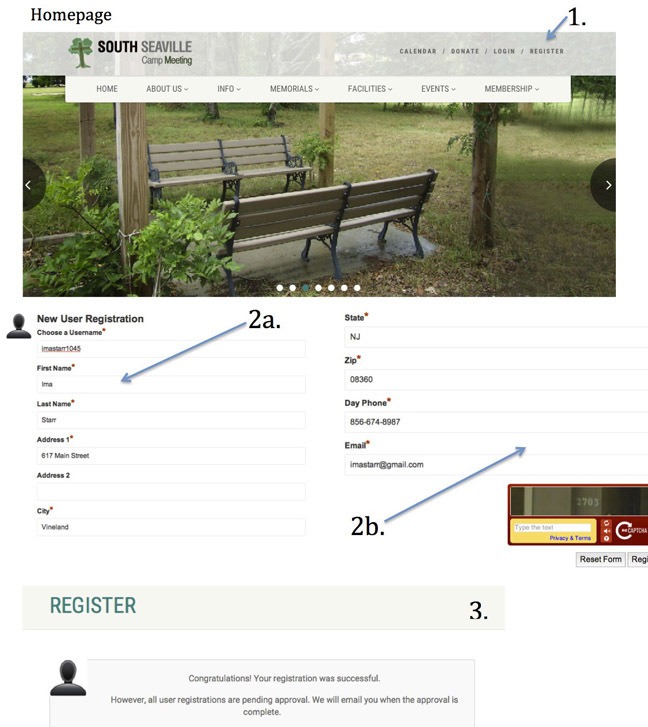 Fill out the New User Registration Form. Every field with a *red star needs to be completed. Provide your First Name and Last Name. That will help us identify whether you are a member. State: Typing NJ for New Jersey is fine or an abbreviation for any state. Email: Make sure you provide a working email account. 2b. Captcha at the bottom of the page. Type the code showing in the box above the yellow box. If you can't make it out, there is a button above the sound icon hat you can click until you get one you can read. After you type the code, click REGISTER. 3. You should get an instant message on your computer screen saying the REGISTRATION was successful and is pending review. You will also receive an email. 4. 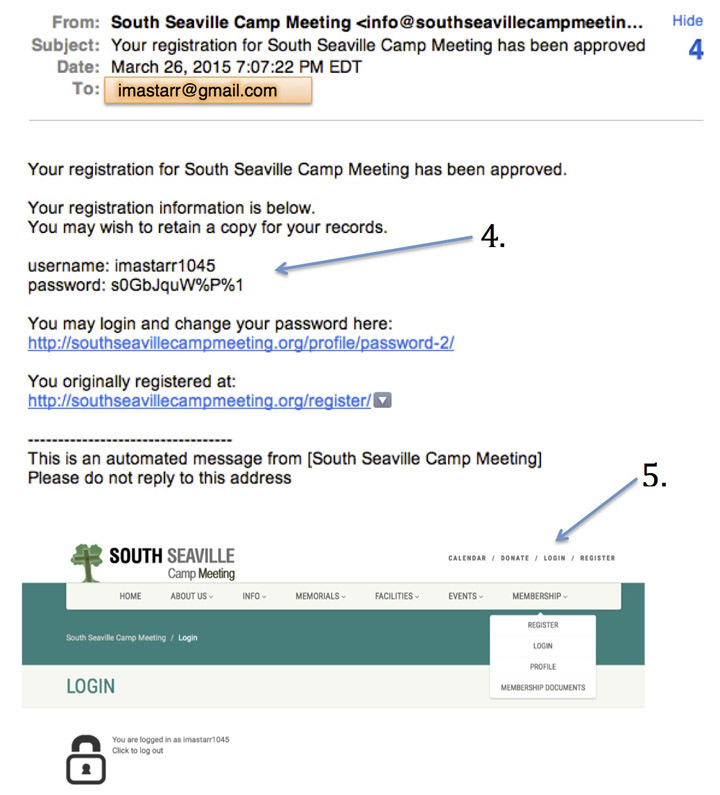 It may take a day or so but you will get another email saying you have been approved. It will contain your USERNAME and PASSWORD. 5. Instead of clicking on the links in the email. Go to LOGIN and login using the username and password you were sent. Just copy and paste the password because it is very long. When you are logged in, go to the PROFILE page and change your password. You can now browse any of the Membership Documents.